Walsn’s US Series Coriolis mass flow meters use a classic U-shape for their flowtubes. 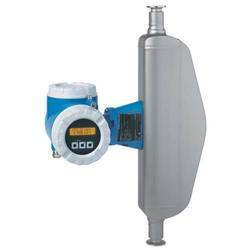 The Walsn mass flow meter is equipped with a transmitter utilizing a digital signal processor (DSP), integrated with digital closed-loop vibration control (DLC), which performs calculations and monitors diagnostic functions of the sensor. The Mass Flow Meter is used to measure the mass of LPG consumed in each of the applications in the manufacturing process. For this purpose, we offer high quality, robust and accurate Endress + Hausers LPG/Propane Mass Flow Meter to our valued customers.